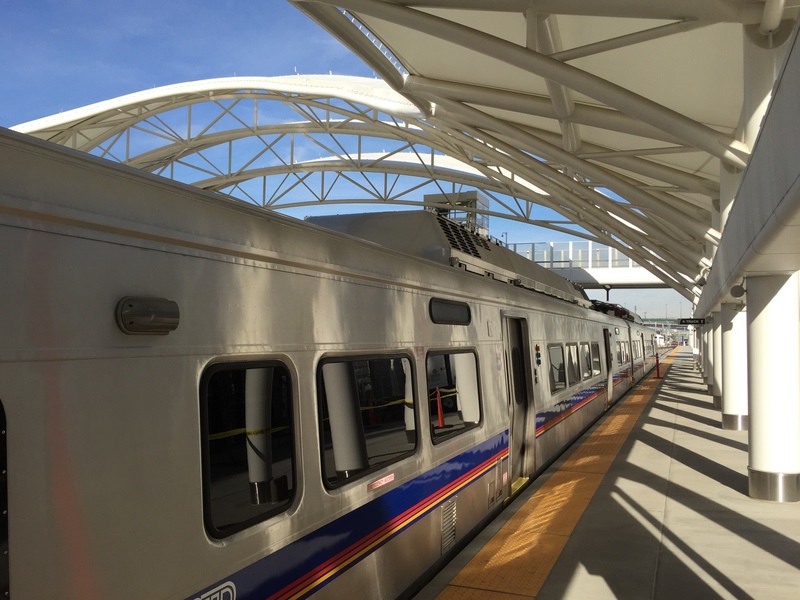 Beginning in 2016 RTD's East Line will open. This commuter rail line will provide access from DUS to Denver International Airport (DIA) on trains that will travel up to 79 miles per hour. 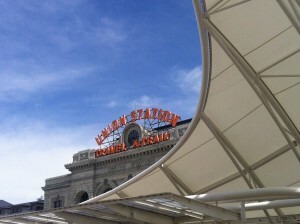 Trains will cover the 22.8 mile distance between DUS and DIA in 35 minutes. Back in Denver's early days the Transcontinental Railroad bypassed Denver when builders elected to construct the railroad through Wyoming. They felt the smaller mountains would be easier to negotiate than building the railroad over the larger mountains of Colorado. 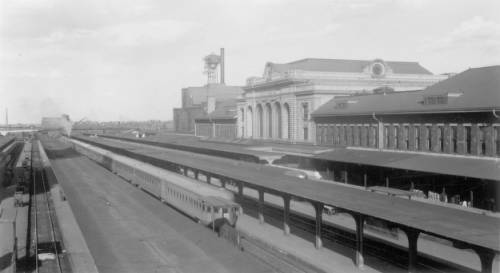 The nearest railroad station was in Cheyenne, Wyoming. Denver's business leaders recognized that for Denver to grow it was critically important to have a rail connection to the rest of the nation. To that end, Denver's business leaders raised enough money to build a rail spur from Denver to Cheyenne and in 1881 the Great Hall at DUS opened. 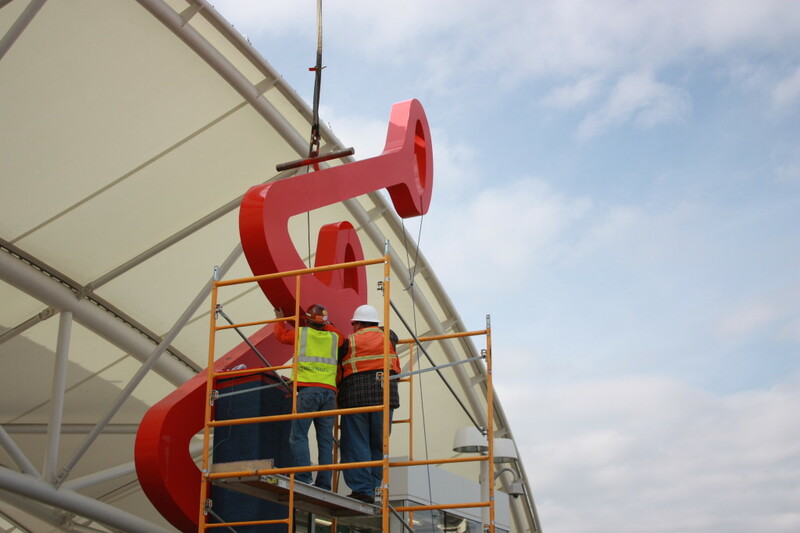 The 24 foot tall sculpture titled "Lola" was installed this week atop the pedestrian bridge adjacent to the train platform at Denver's historic Union Station. This configuration was the brainchild of Christian Moeller. 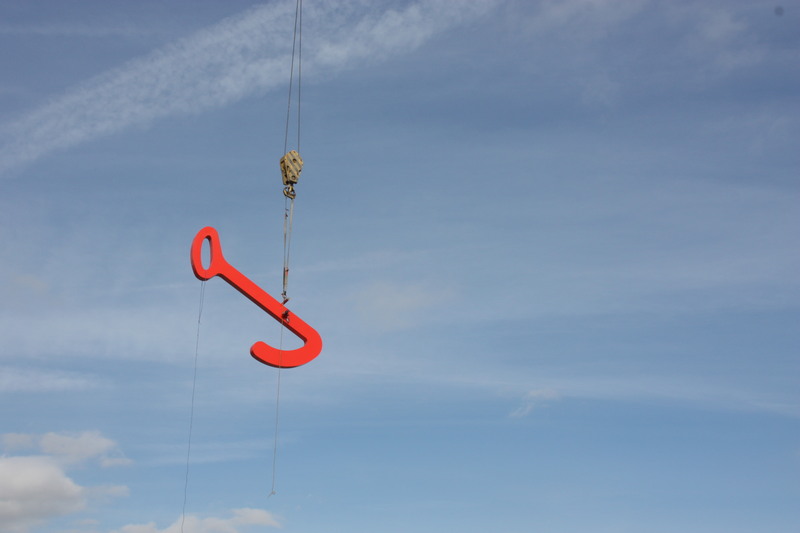 The sculpture was inspired by a Swiss Railway clock as well as imagery of a person running alongside a train waving goodbye. Once fully installed the sculpture will be in perpetual motion. The above animation depicts the structure in motion.